Hearing loss is a terrible disease that destroys quality of life. As of 2013, As many as 48 million people in the U.S. alone have been affected by hearing loss to some degree. But hearing loss may no longer be a problem as recent studies have created solutions. Could there finally be a hearing loss cure? More specifically, a study published by Dr. Albert Edge discovered a revolutionary way to repair damaged ear cells. Tested in mice, this method proved to be a successful treatment to hearing loss. Although human advances have not been made, a company by the name of “Audion Therapeutics” have taken a step forward by starting clinical human trials. Their research could prove to end hearing loss and create a better future. But Audion Therapeutics is not the only one in the market as another company named “Frequency Therapeutics” have filed for a patent treating hearing loss in the middle ear. Where is a hearing loss cure for humans? As of right now… this treatment only works in animals. 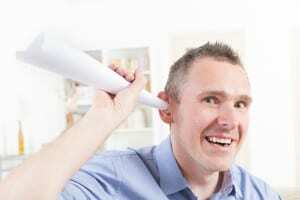 So, what is needed to cure hearing loss in a person other than hearing aids? Something called a hair cell needs to be regenerated in order for this to happen. A link to see more about these cells can be found here http://www.neurophys.wisc.edu/auditory/johc.html. Doctors believe that they are close to performing this in humans, but need to make sure no unwanted side-effects, like tumors, occur as a result of the treatment. There has been major headway in the field though, because in 2015 there was a research team led by Dr. Rocha-Sanchez that found a way to manipulate the gene that causes hearing loss without any adverse side-effects. Even though this treatment is exciting, it seems as though this treatment will not be perfected on humans for another 10-20 years according to speculations by experts. And even though this seems like a long time, it does not discredit the fact that researchers are fighting this great battle against such a terrible disorder.